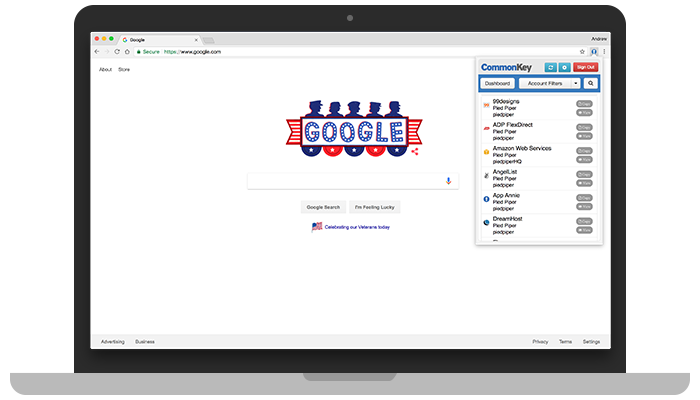 CommonKey saves your passwords and lets you and your team securely login without having to remember the password. Protect the keys to your company. 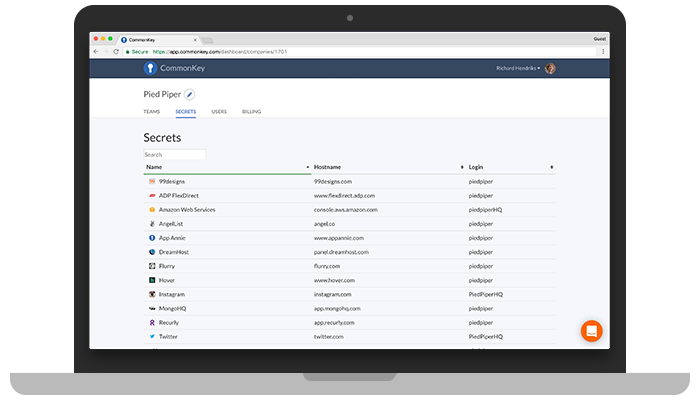 It's a huge pain to keep track of and secure your Google, Twitter, SalesForce, MailChimp, and 100 other accounts. But it's dangerous if you don't. CommonKey stores your logins and gives you and your team secure one-click access. CommonKey is simple, intuitive, and the pricing is reasonable. It's easy to store and share company passwords with other team members. To date I've had zero problems with the service, and I would highly recommend it to others. With CommonKey, I can manage all of my company accounts in a way that is both secure and easy. Instead of giving a new employee a written list of passwords or a single master password, I simply add them to a team or two and they are immediately up and running. It's saved everyone a ton of time and hassle. As a full service digital agency, we have multiple departments managing hundreds of login details. Commonkey enables us to keep our client accounts secure with complex passwords that members of our team can still access easily, based on seniority and department. Having everything in one place means we stay responsive across all our accounts. I highly recommended the service to other agencies. CommonKey has been instrumental in managing multiple accounts across team members. It has facilitated and streamlined the process of bringing on new team members. We love how simple and secure it is because it keeps everything in check. CommonKey is an excellent resource which has significantly cut down the cumbersome task of managing logins for our developers and our interns. I’m glad we found CommonKey. 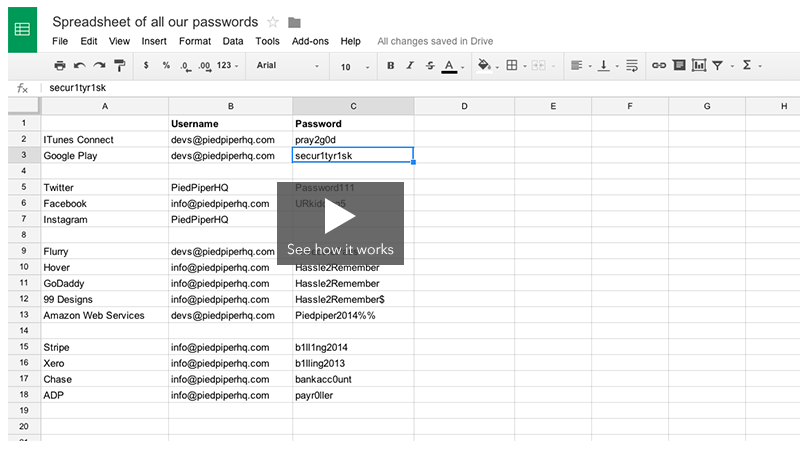 It’s easy to share different sets of passwords with interns and colleagues. CommonKey has proven to be a reliable software solution and delivers awesome customer service. Commonkey is helping Better Collective get new employees started, as they don't have to look for the several accounts that they need, they just have access by being added to their department. Also, its easy to move around and use different work spaces, like home, as you can access all your credentials using a different computer. Our priority is security, which is why we frequently change passwords. We tried every solution out there and CommonKey is exactly what we needed, secure and simple password sharing for teams. Auto log into all your saved and shared accounts with a click of a button, using the browser extension. 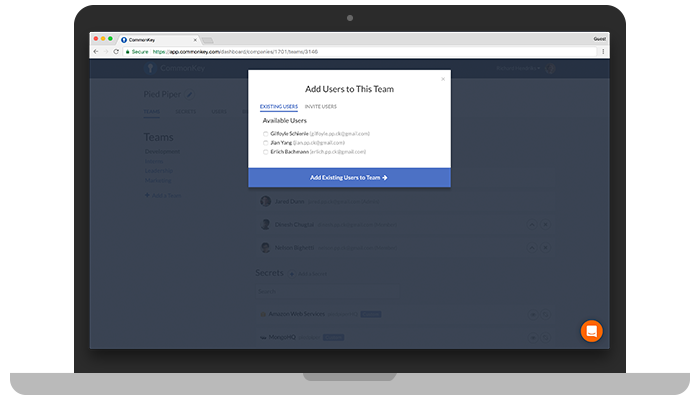 Share access to accounts with team members who need to use online services to do their job. Built with security first, all your data is fully encrypted in the cloud, secured by your CommonKey password. 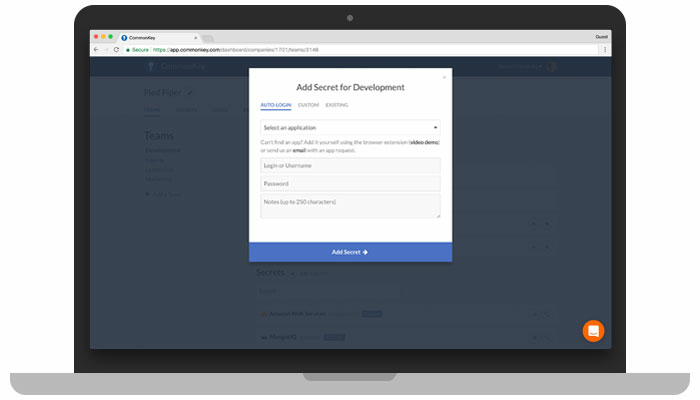 Get control of all your apps and "loan" access to anyone on your team, without them knowing the actual password. CommonKey is built to make sharing easy and secure for teams. It autodetects anytime you enter a password and offers to save it. It detects when it already has a password and offers to enter it. And it updates password changes across a team, so if a login changes, everyone with access rights can still access the app with one click. 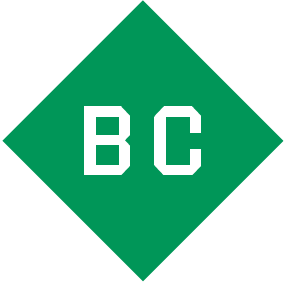 Our technology was built by a team from the US Department of Defense and Johns Hopkins. We have no access to your passwords, as encryption and decryption happens on your local machines. Read details about our security measures.